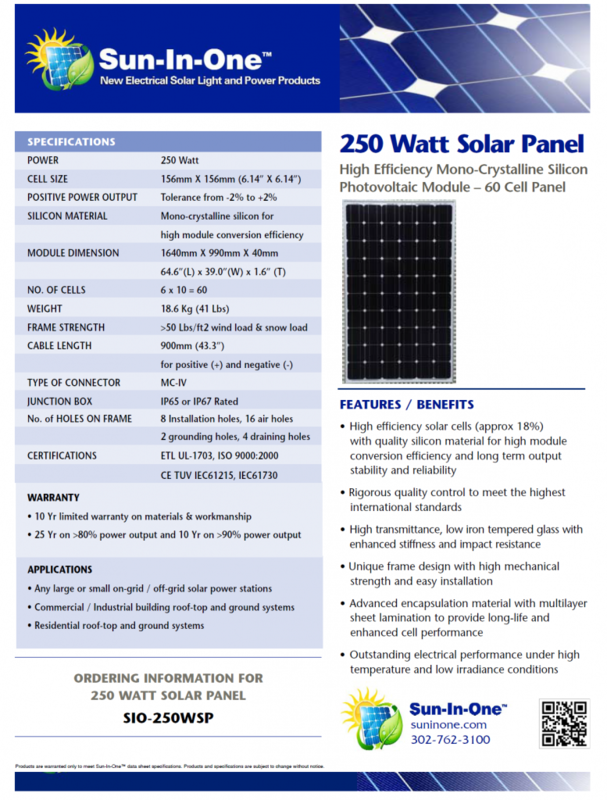 Sun-In-On™ Solar Panels are made of the highest quality silicon materials for high module conversion efficiency (20%) and long term output stability and reliability. The unique frame design coupled with high transmittance, low-iron tempered, and impact resistant glass allows for easy installation and insures long-life and cell performance. – Any large or small on-grid /off-grid solar power stations. – Commercial/industrial building roof top and ground systems. – Residential roof top and ground systems. Shipping is within 7-10 business days. The cost for shipping will be determined by the number of boxes shipped to a zip code. – High efficiency solar cells (approx. 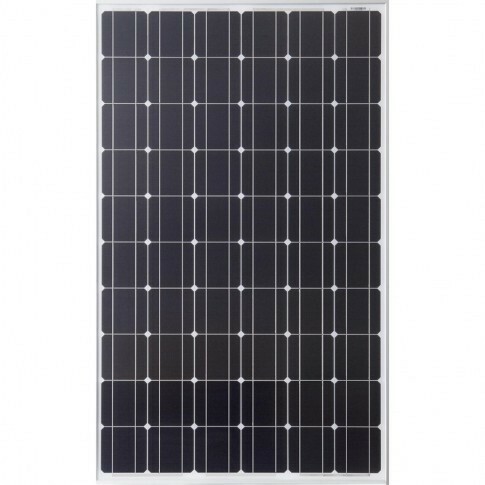 18%) with quality silicon material for high module conversion efficiency and long term output stability and reliability. – Positive power output tolerance from 0% to +3%. – Rigorous quality control to meet the highest international standards. – High transmittance, low iron tempered glass with enhanced stiffness and impact resistance. – Unique frame design with strong mechanical strength for greater than 50 lbs/ft2 wind load and snow load withstanding and easy installation. – Advanced encapsulation material with multilayer sheet lamination to provide long-life and enhanced cell performance. – Outstanding electrical performance under high temperature and weak light environments. – 10 year limited product warranty on materials and workmanship. – 25 year warranty on >80% power output and 10 year warranty on >90% power output. – Refer to warranty document for detailed warranty information.